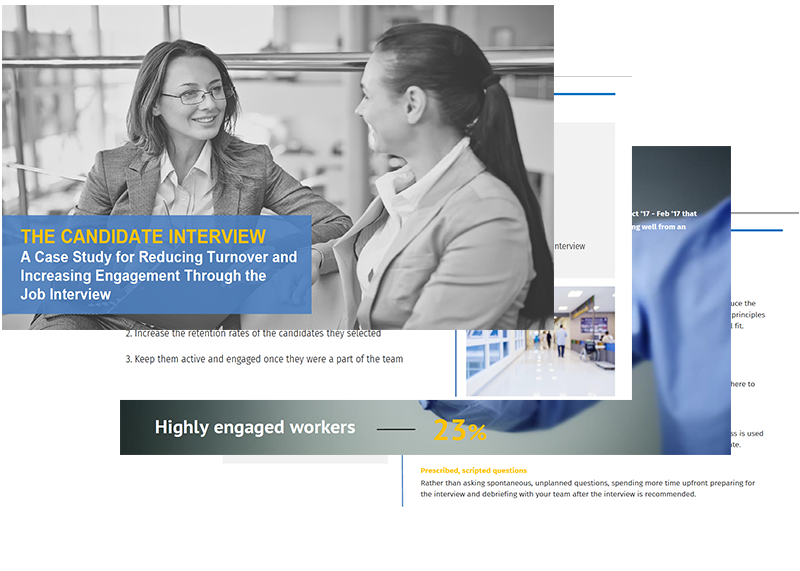 Discover how a large organization partnered with a recruitment process outsourcing company (RPO) recognized as one of the Top 39 Most Engaged Workforces Worldwide in order to combat serious annual turnover and low employee engagement. Using a formal panel interview procedure, hiring managers incorporated four questions that subtly, but effectively, led candidates to relate accurate information regarding their prior career performance, thus determining the “essence” of the individual. Based on candidate’s responses, managers are better able to judge “culture-fit,” as well as needed job skills. Access this free case study to learn about the hiring challenges the organization faced and the results they were able to achieve by implementing this candidate-focused RPO program.